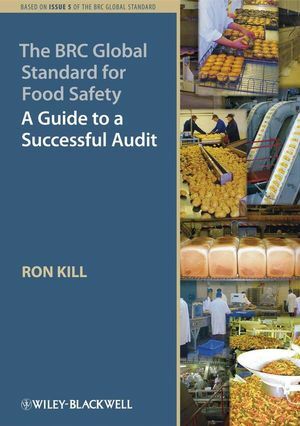 "This book offers companies in the food industry the first comprehensive guide to preparing for the Global Standard Audit." The British Retail Consortium Global Standard for Food Safety was originally conceived to meet an increasing demand for a unified standard to be used by the major retailers in the UK for their suppliers of "own label" food products. The system has proved so successful that it is now used throughout the food industry, and over 7000 food manufacturers worldwide already have the Standard. Companies are often unsure about how to approach attaining certification—often a demanding process, especially at the first attempt. Not only are there over 300 clauses to satisfy, there are also general concerns such as how to correct non-conformities within very specific deadlines. Even when their operations are actually quite satisfactory, many suppliers find themselves poorly prepared for the audit and do not perform as well as they might. This book offers companies in the food industry the first comprehensive guide to preparing for the Global Standard audit. Using over 600 real life examples, it enables manufacturers to ensure that the correct systems are in place to achieve the Standard and present themselves in the best way during the audit process. It also recommends the steps to take following the audit and how to correct non-conformities. The book is an essential resource for suppliers wishing to attain certification for the first time and those already in the scheme seeking to improve their grades. It is also of interest to certification bodies and consultants to the food industry. The only guide to attaining the BRC Global Standard for Food - a benchmark for best practice in the food industry in the UK, Europe and beyond. Structured in 3 practical and helpful sections: Before the Evaluation; The Sections of the Standard; After the Evaluation. Written by an acknowledged international expert in food safety inspection services.